Give your way to a full heart. It seems weird that you need to give away to fill your heart, but I find it’s true. It’s not always giving money or things away, either. It’s my time, too. I tend to hold onto my things, my time and my money a bit too tightly. At least I used to. But then I heard a great message about finding where your heart truly lies by looking at your bank statements and your calendar. It was eye opening and very convicting. There was a lot of me, me, me and I want, I want, I want in those two places. When we’re constantly focused on our stuff, obsessing about our lives and our needs, never looking around us, we tend to hyper-focus on what’s wrong with us. What we don’t have. Then we work even harder to get, get, get because we feel like something’s missing. Almost like it’s impossible to be content unless we work harder. It’s weird. Because we have so much. But the minute you start looking around you, letting go of your tight hold on things, it’s amazing what you see. And then when you start helping others around you, again either by giving your things, money and/or time, it’s almost as if the tight grip around your chest loosens. Your world seems a little brighter. A little less tense. Don’t take my word for it. Give it a try. 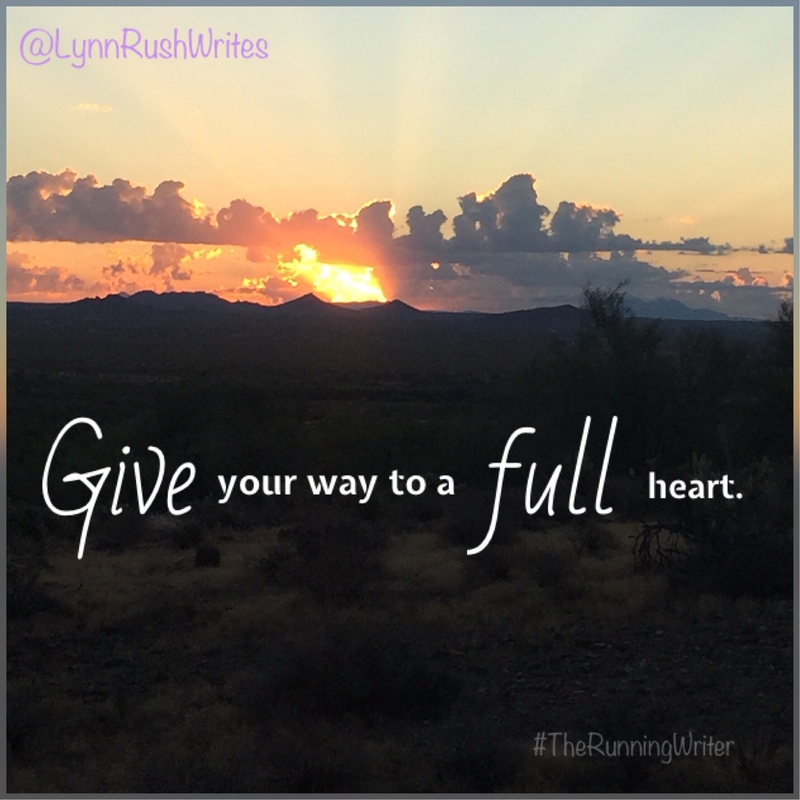 What’s one small way you’ll give your way to a full heart today?